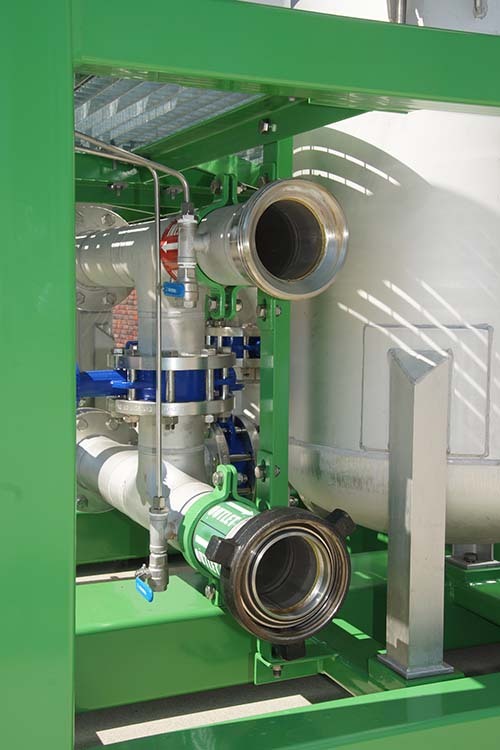 The Dutch Filtration stackable dual mixing slurry skid is a complete unit for pre-coating, body feed and polishing of fluids. 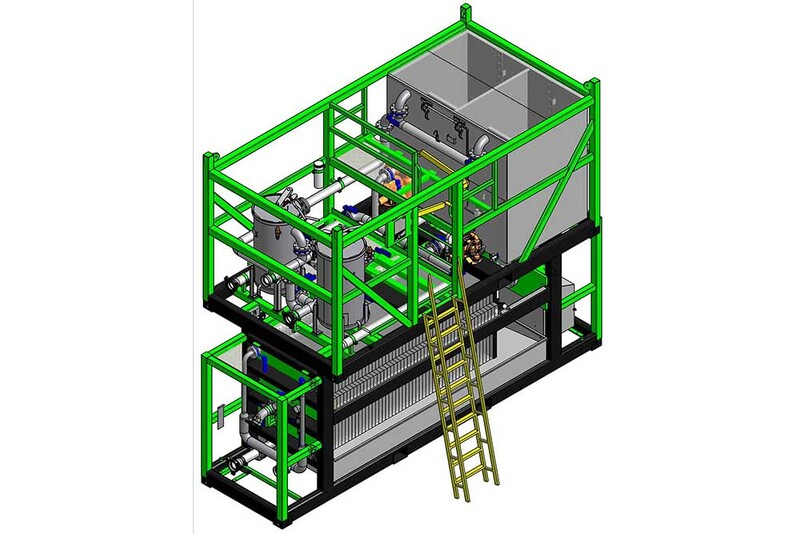 The stackable unit can be placed and fixed on top of the filter press. 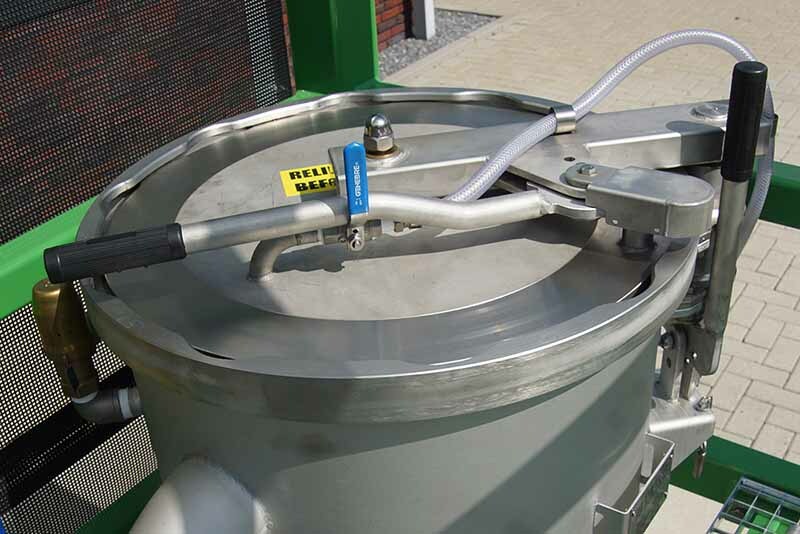 This set-up will give the minimum footprint during operation of the filter system.The unit has one frame and contains 2x 16 BBL mixing tanks, air driven pre-coat and body feed pump, two cartridge filter vessels each 50 cartridges. The unit offers a safe working platform. Air driven precoat and bodyfeed pump. Stackable on top of the filterpress.